The Multihalle has a special history. Possibly no-one has such profound knowledge of the subject as Prof. Dr. Georg Vrachliotis, architecture theorist from Karlsruhe. 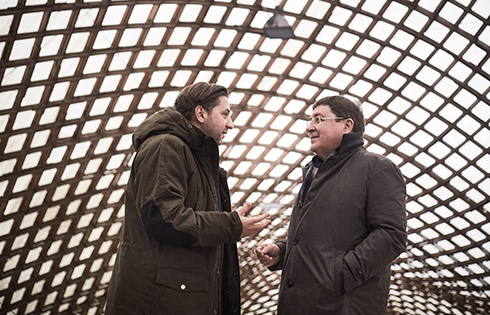 Professor Vrachliotis met up with Lothar Quast, Mannheim’s Mayor for Planning, at the Multihalle to talk about the history and the future of this unique Mannheim building.